Now available online, new Fall/Winter 2017-18 Avant Toi. The shipment included four types of scarves, in grey, teal, and rust red. One scarf is a re-order, but all other are new to our store. 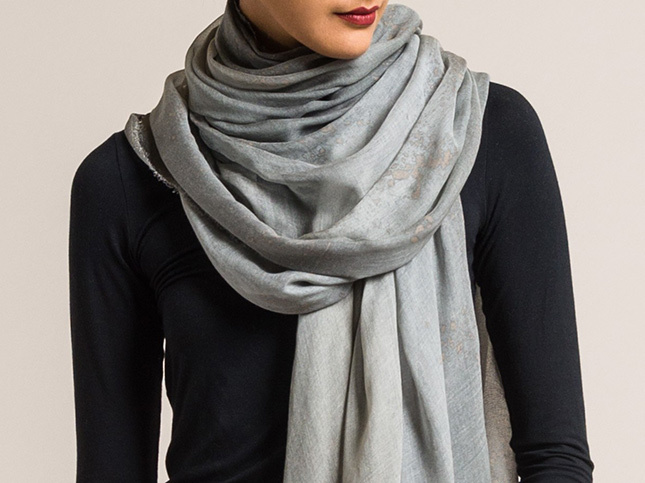 The scarves are almost solid, with subtle dye-nuances and prints such as splatters. The latest shipment is available online and in-store at both Santa Fe Dry Goods & Workshop on the Plaza in Santa Fe, New Mexico.